Our family was hosted by Cincinnati USA. All opinions are my own. This post contains affiliate links. We had a blast exploring Cincinnati for 2 nights and 3 days. The Queen City really is charming. There’s a TON to do, so much that we’re planning a trip back to take in more of her beauty. 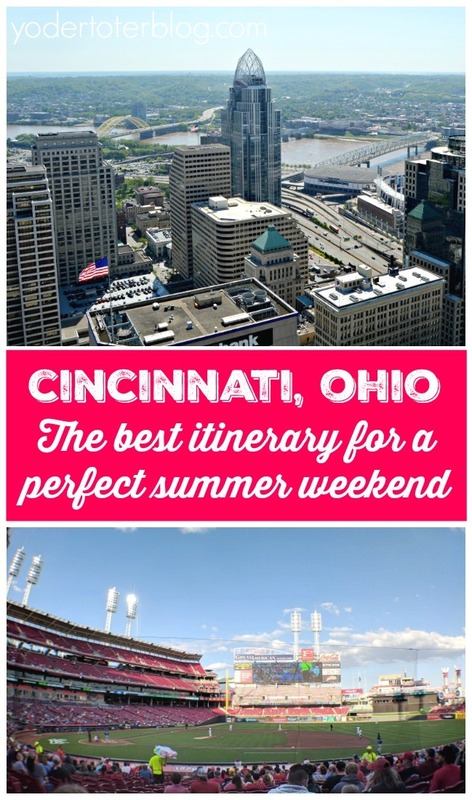 Here are some of my best tips for planning a summer weekend in Cincinnati (with backup plans in case the weather is less than fantastic) along with an itinerary you can follow! Depart for Cincinnati in time to make it after lunch. If the weather is great, head first to the Over-the-Rhine neighborhood. Have a walk around the eclectic shops & local restaurants. 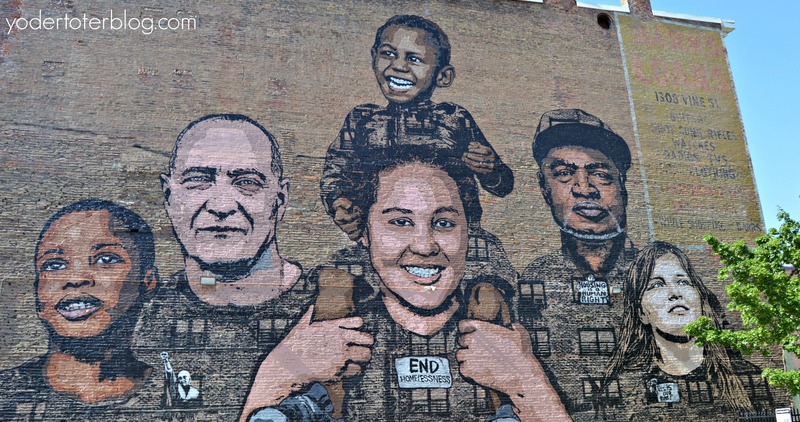 The best way to appreciate the art of OTR is on a Murals walking tour with Artworks. Public tours are available May-Oct. Look for open dates HERE. Alternative plans: If the weather is not great, or you’re visiting off-season, drive across the Ohio River and stop in Newport, Kentucky. The Newport Aquarium was voted the #1 Aquarium in the Midwest! Spend a few hours gazing at the world’s underwater life. Make sure you leave time to watch the penguins put on a show at Penguin Palooza and then walk the world’s first and only Shark Bridge. 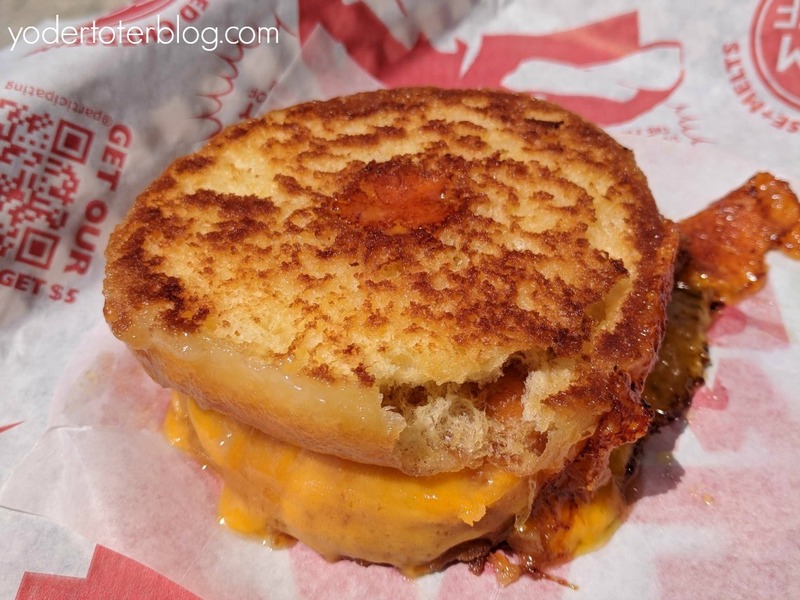 For dinner: Whether you’re in Newport or Over-the-Rhine, you’re close enough to a Tom + Chee. Featured on Shark Tank, this Cincinnati-born restaurant is a sandwich joint that focuses on the perfect combo of salty & sweet. Yes, they serve grilled cheese on a glazed donut. Yes, Virginia, there is a Santa Claus. Too good to resist Tom + Chee. 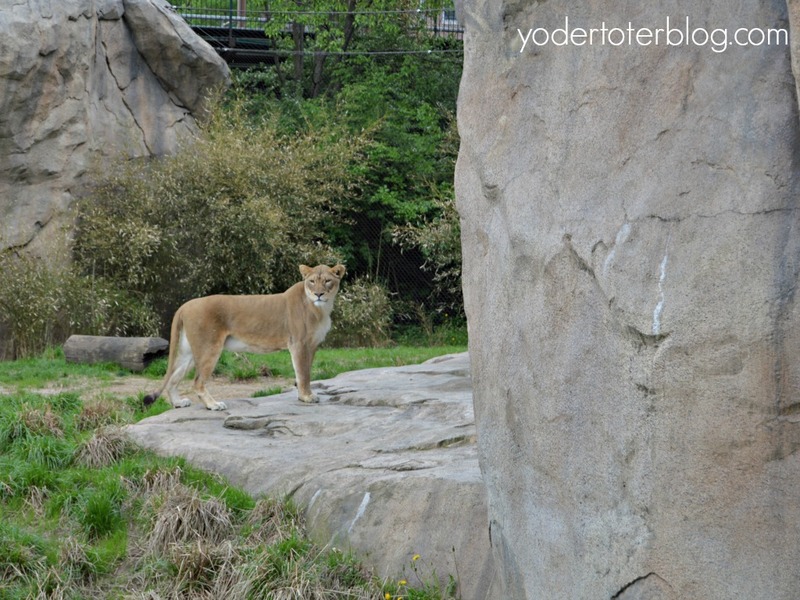 Start the morning off at the beautiful Cincinnati Zoo and Botanical Garden. Our family now considers Cincinnati Zoo to be one of our favorites! (Click here for a great deal on admission). 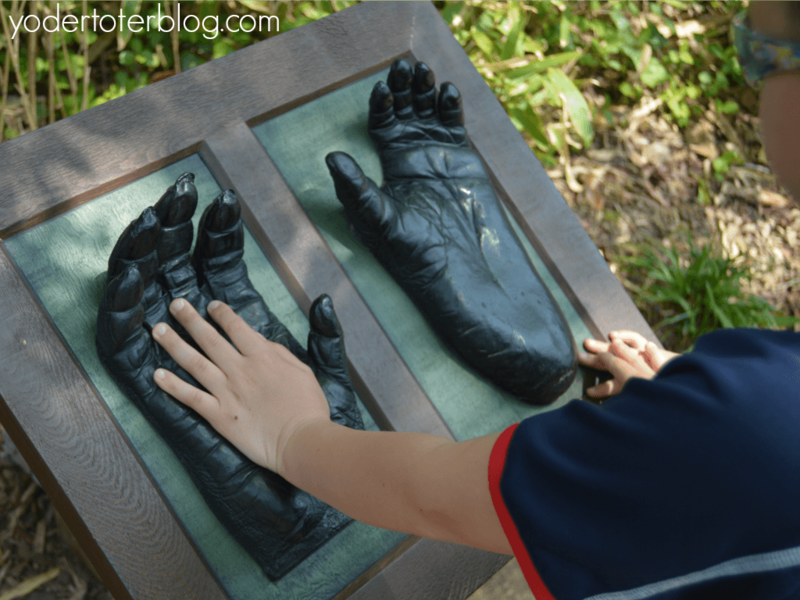 While the zoo is an older, urban zoo, there is still SO much to see! Recently, Cincinnati’s Zoo has been known for the birth of Fiona the hippo. Born prematurely in January 2017, Fiona is now over 700 pounds! Along with Fiona, you’ll find lions, meerkats, and giraffes in the Zoo’s new Africa exhibit. I was only sad I couldn’t stoop enough to fit within the bubble at the meerkat habitat! Tips for enjoying your zoo visit: Skip the Safari Train. At $4 a person and possibly 3.5 minutes in length, we felt cheated out of $20 to see little-to-nothing. Even our kiddos were left saying, “Is that all?” BUT if you forget to pack a lunch, DO get a LaRosa’s pizza. LaRosa’s franchise began on Cincinnati’s west side back in 1954. For $20 you can get a large pizza and split it among the family. This was a rather inexpensive lunch (that fed 5) and especially pleased Mr. YT. If it’s too hot or raining, spend your morning at the newly reopened Duke Energy Children’s Museum. The Duke Energy Children’s Museum is full of interactive child’s play. Our favorite spot was the wilderness section titled, “The Woods.” Kids have hundreds of ways to crawl, climb, and slither their way through a forest-themed area. This section alone will make parents wish they could be a kid again! There’s also water and DUPLO block play, a construction site, and a large grocery-store, vet clinic, and art room. Adults will appreciate the numerous seating areas! TIP: If you’re trying to save money, there is an area of cafeteria tables. Pack a lunch. A summer weekend in Cincinnati requires a visit to the Reds game! Our eldest is sport-obsessed and we couldn’t leave the city without enjoying our first Major League Baseball game. If you enjoy baseball history, arrive a couple of hours before the game and check out the Reds Museum. The Reds Museum is full of team-related artifacts like jerseys , game balls, and World Series trophies and rings. However, there are interactive exhibits for kids (and adults). You can practice throwing a pitch from the mound or calling the game from the press box. There’s even a play area for the kids ( best for ages 3-6). After the museum, it’s time to enter the Great American Ballpark. 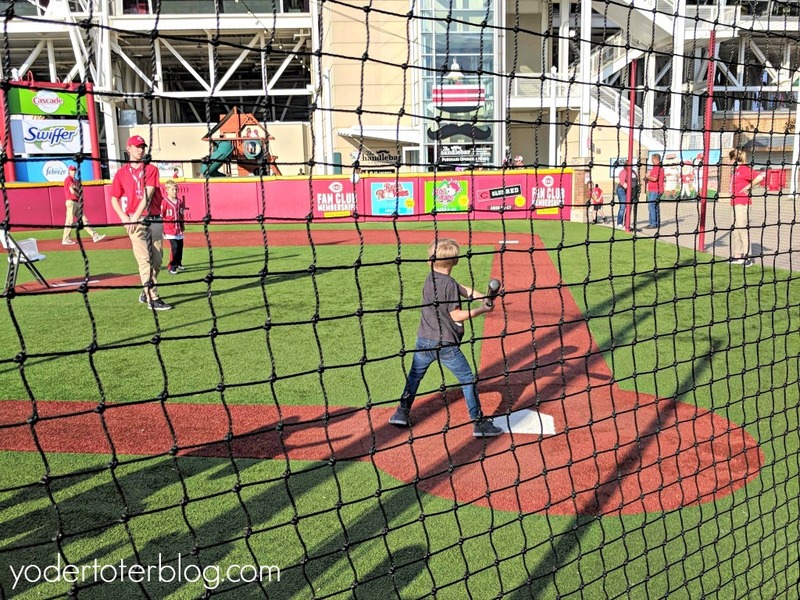 If you’re visiting with children, the first base line is a great spot for families, as behind the food vendors you’ll find a whiffle ball field and even a large playground. The Reds have many affordable seating options, so you’re sure to find something that pleases. Picky kids won’t be disappointed by ballpark dinner options – there are the usual hot dogs BUT even better is a meal from Frisch’s. Did you know the burger joint started in Cincinnati? A double cheeseburger with fries makes the game even better. 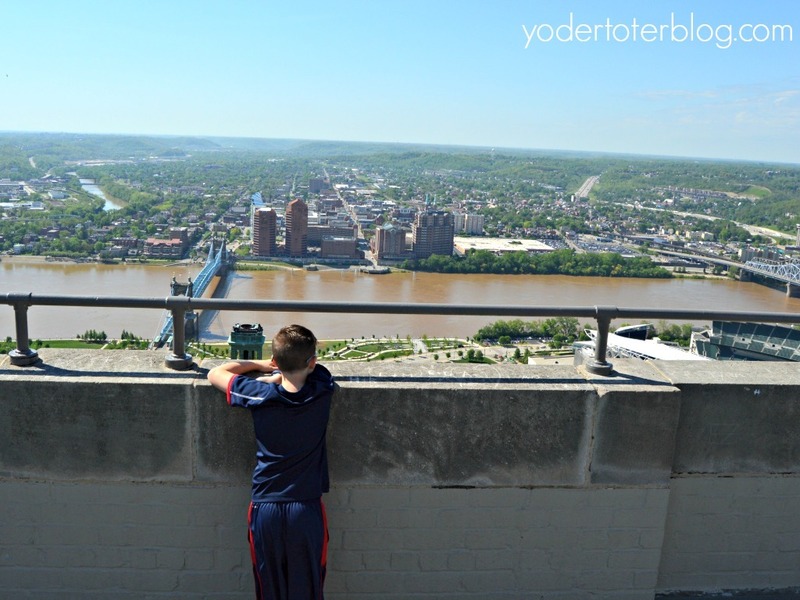 The best view in Cincinnati awaits you at the top of the Carew Tower. The Carew Tower’s observation deck sits only 49 floors up, BUT the building’s elevation makes it the highest spot in town. There isn’t great signage for visiting the Observation Deck. Take the building’s elevators to the 43rd floor, then get off and take a very small elevator (it says Max. 4 people) to the 48th floor. From there you’ll have to ascend one flight of stairs. We took our stroller along and just left it on the landing of the 48th floor. It was a quiet morning at the top so we didn’t have any issues. After lunch, it’s time to head home. You’ll be ready to book another trip back to the Queen City. We stayed at the Homewood Suites by Hilton in Downtown. 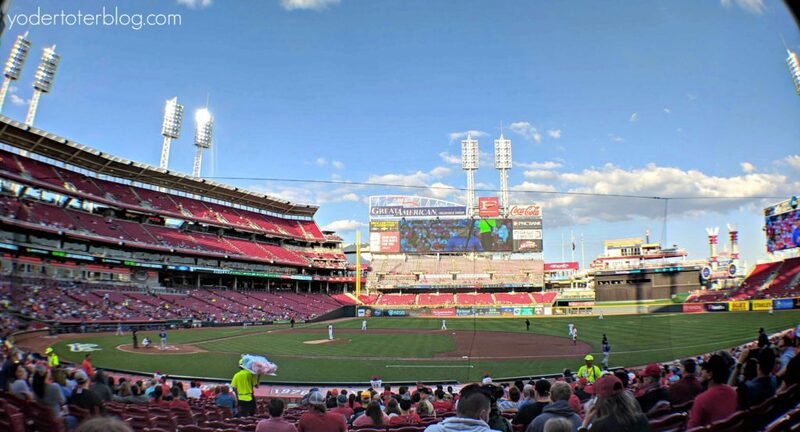 The location is a convenient walk to Over-the-Rhine (10 min), the Great American Ball Park (20 min), and the Carew Tower (5 min). The rooms are well-suited for families. Parking is $30/night for valet and we learned the hard way that that is probably the best deal on parking. You can stay outside the city and save some pennies, but you will still need to pay for parking when you come into the city. If you’re coming in during the week, the Homewood Suites by Hilton does offer a weeknight social hour (Mon-Thurs) with free drinks and snacks. This could be a big help if you’re traveling on a budget. 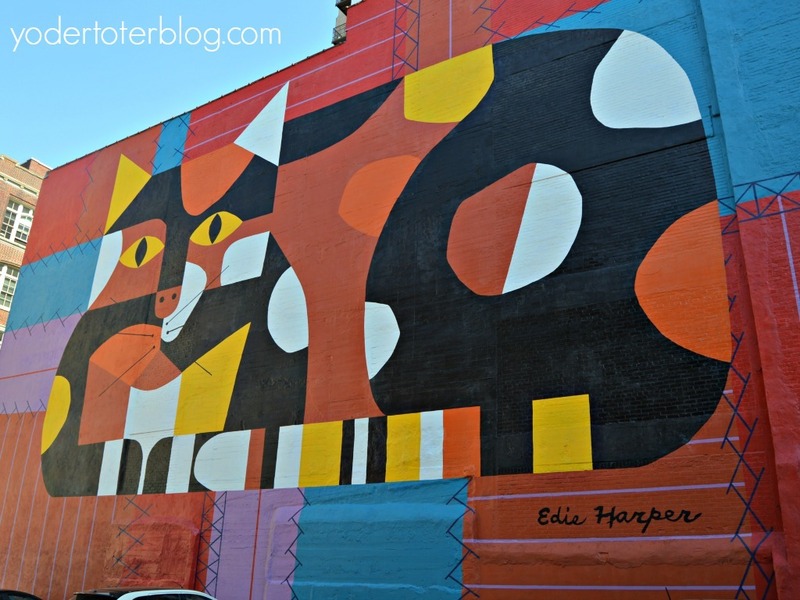 Check back for more in-depth posts about things to do in Cincinnati! Are you ready to plan a summer weekend in Cincinnati? Ive never been to Cinncinati! I love exploring new cities… adding it to the list! I think you’d really enjoy it! 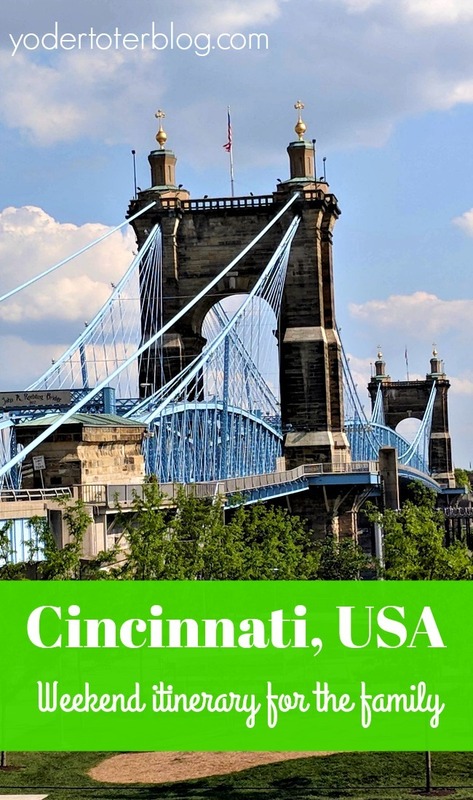 Definitely add Cincinnati to the list! Cincinnati is my favorite city in Ohio! I’m lucky because my daughter is a student at University of Cincinnati now so I have more of an excuse to visit! Oh, that’s great! I have a list of cities I want our kids to go to college in! Lol. Cincinnati has a TON to do! I feel like we’ve only touched the surface.